April 16 was a huge day for Qualcomm (NASDAQ:QCOM) and Apple (NASDAQ:AAPL). The two companies have been battling over patents related to smartphone modems, and after months of minor victories for QCOM that saw partial iPhone sales bans in some countries, Apple lawyers were going for the jugular: Qualcomm’s patent licensing fees. Instead, at the end of Tuesday’s courtroom session there was a bombshell announcement. The two companies reached a surprise settlement and have signed a six-year deal that will see QCOM modems back in Apple iPhones. Qualcomm stock rocketed to a 23% gain on the news. The Qualcomm vs. Apple legal battle entered into a critical phase this week, and the outcome could have been devastating for QCOM. The danger for Qualcomm was that in initial hearings, the federal judge sided with Apple, ruling that QCOM owed Apple nearly $1 billion in rebate payments. A final ruling against QCOM would have gone beyond AAPL and put its entire patent licensing business at risk. That would have put a huge dent in QCOM’s revenue and sent Qualcomm stock on a downward spiral. Instead, the two companies emerged from the courtroom with a settlement, the last thing that was expected. According to Apple, the two companies have agreed to end all litigation, with Apple making an unspecified payment to Qualcomm. In addition, Apple and Qualcomm are working closely together again. They announced a six-year license agreement and a multiyear agreement for QCOM to supply chips to Apple. In response to the shocking turn of events, Qualcomm stock closed up over 23%, climbing another 9% in pre-market trading. The question has to be asked. With the courts leaning toward its side, why did AAPL not only back off on the fight, but make a payment to QCOM and enter back into a partnership with Qualcomm after several years of bitter fighting? It all comes down to the iPhone. Sales may be slowing, but this single device is still responsible for the bulk of Apple revenue. The problem is that Apple faced a growing possibility of both the 2019 and 2020 iPhones lacking 5G support. Maybe not the end of the world this year — 5G rollout is in its infancy — but the lack of 5G next year as well had the potential to decimate iPhone sales. Intel (NASDAQ:INTC) was Apple’s chosen modem partner after the Qualcomm fight, but the company was struggling with 5G technology. 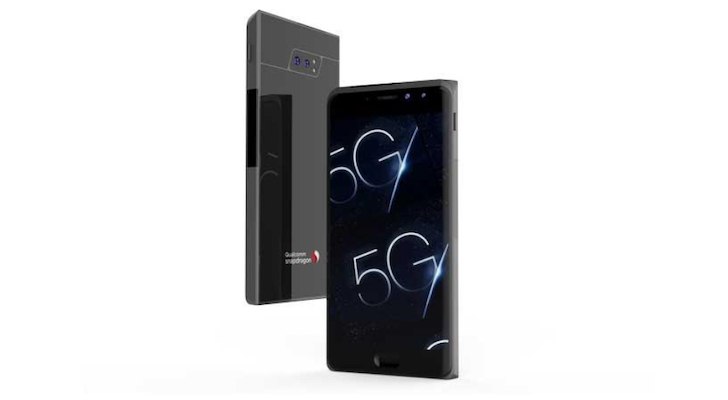 AAPL made the choice to settle with Qualcomm in order to avoid the nightmare scenario of several generations of iPhones being left in the dust by Android competition equipped with Qualcomm 5G modems. Apple’s move takes the pressure off Qualcomm’s patent licensing revenue, adds that undisclosed settlement payment from AAPL, and brings Apple’s iPhone revenue back. Nothing but good news so far as Qualcomm stock is concerned. The loser out of all this is Intel (NASDAQ:INTC). After several years of competing for the iPhone modem business, then becoming the exclusive provider as the result of the Qualcomm fight, the company is now at the curb. In fact, hours after the Apple/Qualcomm settlement was announced, Intel said it is abandoning its 5G smartphone modem efforts altogether. Intel stock has actually increased in pre-market trading despite the news it has lost the iPhone business. That’s likely because the the high profile 5G development project was going so far off the rails it seemed bound to end in disaster anyway. Now the company can focus on its core businesses. Article printed from InvestorPlace Media, https://investorplace.com/2019/04/qualcomm-stock-surges-23-on-surprise-settlement-with-apple/.